Treasurys rally, rates decline as Europe posts weak economic data and hopes for a quick resolution to US-China trade conflict fades. Yields and swap rates fell after the European Commission cut its economic growth forecasts for the eurozone to only 1.3% (revised down from 1.9%). Rates legged even lower after a midday report that President Donald Trump is unlikely to meet Xi Jinping- delaying any resolution to the ongoing US-China trade conflict. 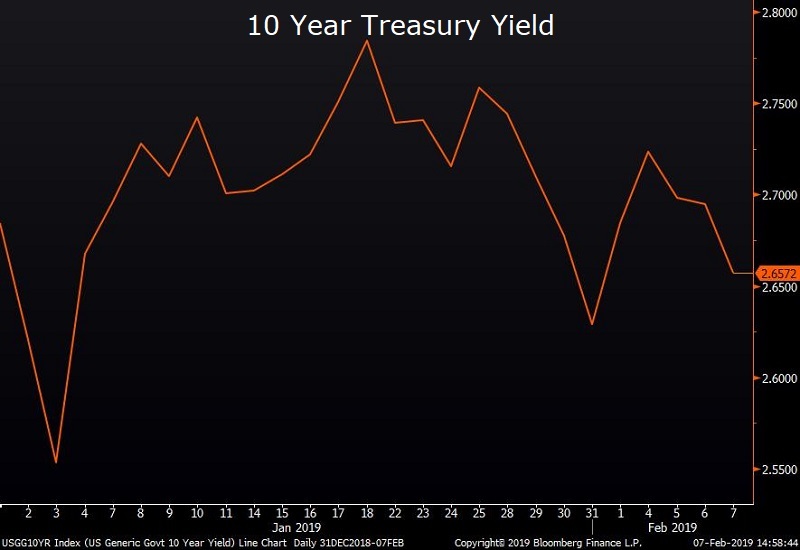 US 10 year treasury yields ultimately dropped 3.8 basis points to 2.657%, and swap rates fell by nearly four basis points across the curve. BB&T and SunTrust combine in largest bank deal since financial crisis. The deal will create the sixth-largest retail bank in the country, and come after President Trump’s administration has relaxed bank rules that would have previously prevented large banks from merging. Some have speculated that the groundbreaking merger will kick off a new wave of merger activity among small and mid-sized banks. 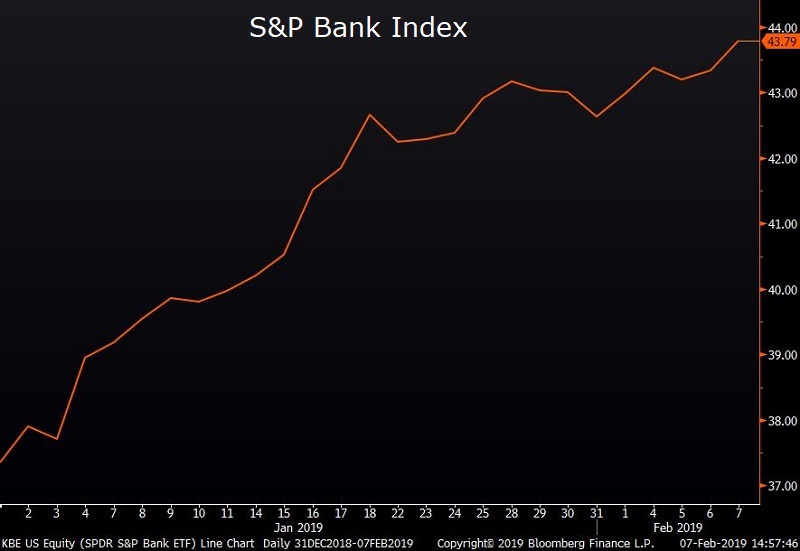 The S&P Bank Index is up 18.35% on the year. US equities decline for second straight day. Both the Dow Jones Industrial Average and S&P 500 fell, closing down 0.87% and 0.94% respectively. 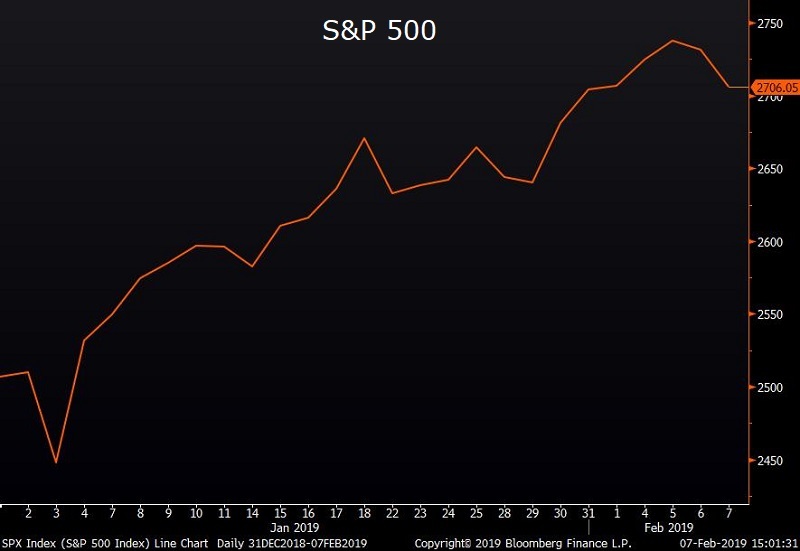 Utilities and real estate were the only S&P 500 sectors that were positive on the day as technology stocks led the way lower. Equities were lower across Europe as well as the macroeconomic outlook deteriorated with the Euro Stoxx 50 closing down nearly 2%. Powell reveals his biggest concerns for US economy. Fed Chairman Jerome Powell said yesterday that he believes sluggish productivity and a widening wealth gap are the biggest challenges facing the U.S. over the next decade. Both fall outside of the Federal Reserve’s dual-mandate of controlling inflation and unemployment, but highlight the growing complexity of the risks facing the US economy. Fed Funds futures are now pricing in a 25% likelihood of a rate cut by year end, and merely a 3.9% chance of a hike by 2020.